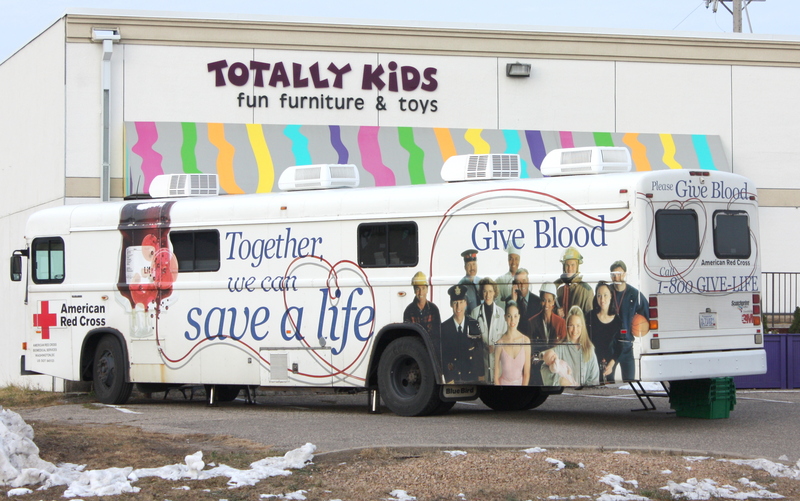 Team Totally and their families are donating blood today. Please stop by anytime before 3PM and make a donation. One pint of blood can save up to three lives! 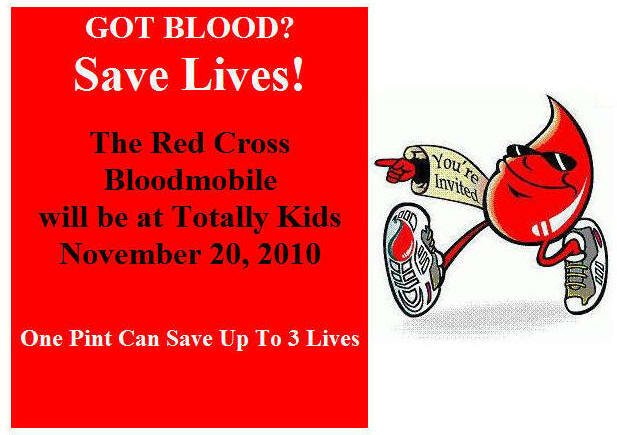 All donors will receive a $15.00 Gift Card from Totally Kids. 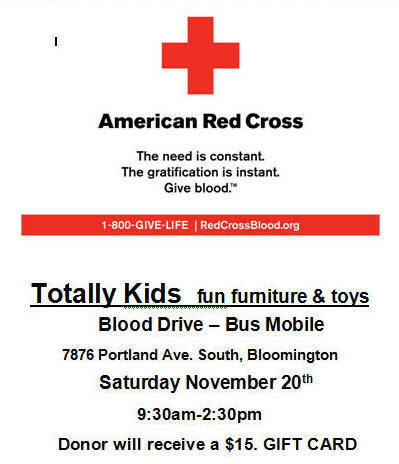 Please take a look here for more information about donating blood. Kate, our brave interior design intern, donates blood for the first time.